These Book Worm Gray Heather women's knee high socks are a reader's delight. 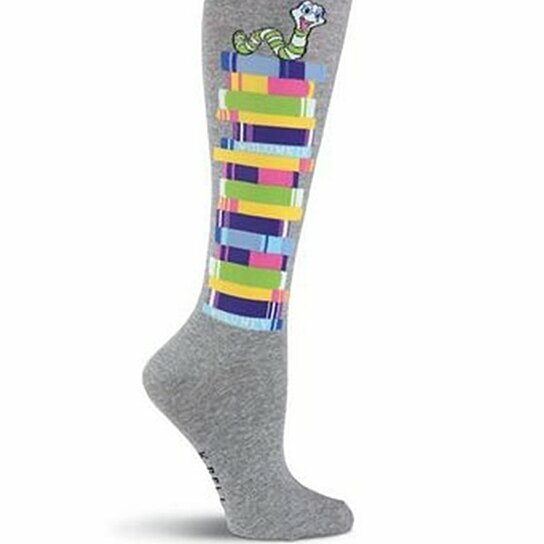 This pair of heather gray knee high socks for women feature a book worm graphic with colorful books graphic and ribbed trim. Made from a soft cotton and nylon blend, they're cute fashion socks for any lovers of the written word.